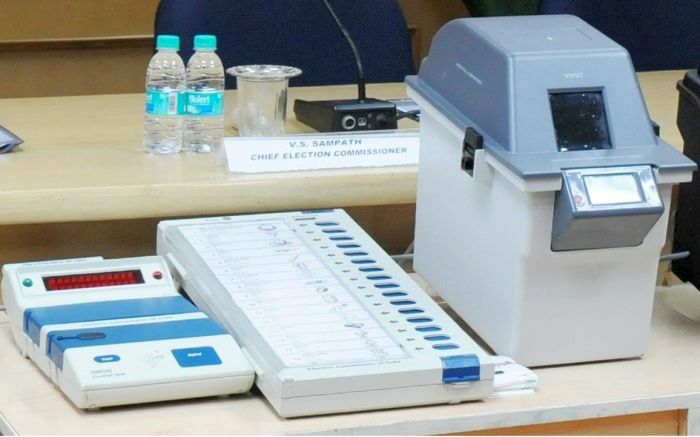 In future Lok Sabha and assembly elections, paper trail machines will be used at all polling stations, the Election Commission has said. In a letter to chief electoral officers of states written earlier this week, the poll panel said that henceforth, VVPAT (voter-verifiable paper audit trail) or paper trail machines will be used at polling stations in all future elections where polls are held using EVMs. In March, the then chief election commissioner Nasim Zaidi had told political parties in a meeting that VVPAT machines will be used in all future elections. But now formal directions have been issued. The poll panel had ordered for 67,000 additional paper trail units in 2015, out of which 33,500 have been supplied, according to the law ministry. The EC is about to get another 30,000 VVPAT machines for Gujarat, Himachal Pradesh polls due later this year. For the EC to allow the use of VVPATs in all polling stations in the 2019 Lok Sabha polls, it needs 16,15,000 more such machines. Several parties have been pressing for the use of these machines to dispel doubts about EVM tampering. Sixteen parties had recently petitioned the EC to revert to paper ballot system for greater transparency. The Bahujan Samaj Party, the Aam Aadmi Party and the Congress had attacked the EC on the issue of alleged tampering of EVMs.